They give people another chance to live.Literally. There exists a technology that allows doctors to weave artificial memories, such that a patient can request attempts to alter their mind, and wake up with memories of things that didn't actually happen. However, since these new memories are permanent, the conflict between them and the existing authentic memories clash in such a way that it ceases the person's ability to properly function. Thus, the operation is only done to people on their deathbeds, to fulfill what they wish they had done with their lives. . . but didn't. The technology requires the doctors to step into the memories of the patient, which are reconstructed as interactive scenes. The doctors then gradually traverse backwards through memories of the patient's life until they reach childhood -- at which point, the wish of the patient in present time would be transferred over. Along with the doctors' influence, the patient (as a child) could then lead an entire different life inside their head, working toward and fulfilling their dying wish themselves. And if all goes well, they would wake up, having lived the dream life they never had, and embrace a brief moment of blissful fulfillment. Shortly after, they'd draw their last breath. 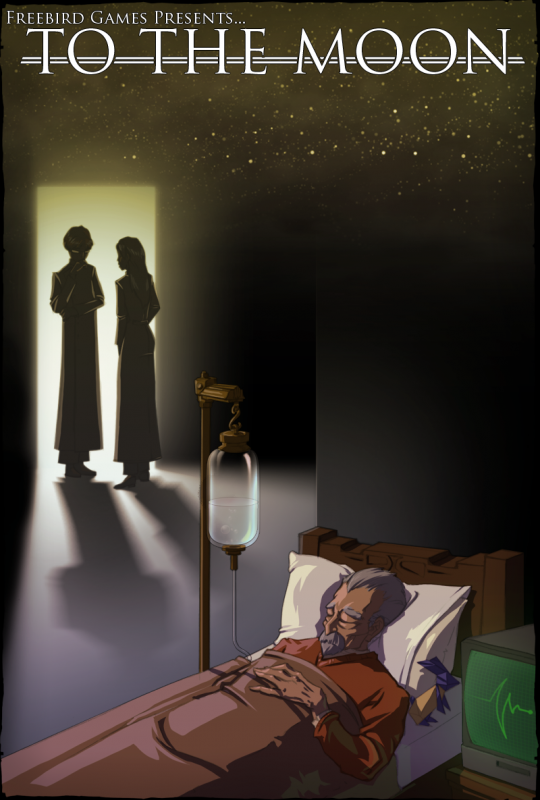 This particular story follows Dr. Rosalene and Dr. Watts' attempt to fulfill the dream of the dying elderly man, Johnny. In their mission to do so, they traverse backwards through the man’s memories, unfolding his curious life story before their eyes. With each step back in time, a new fragment of Johnny's past is revealed. And as the two doctors piece together the puzzled events that spanned a life time, they seek to find out just why the frail old man chose his dying wish to be what it is. And Johnny's last wish is, of course. . . to go to the moon. Truly a gem. The music was simple, apt and unparalleled in setting mood. The game made me experience a plethora of emotions and is sovery, very memorable. Amazing game, hard to put down. I can't had this to my games. Can't add to my games? Fantastic game, this is how the storytelling in modern gaming should be.